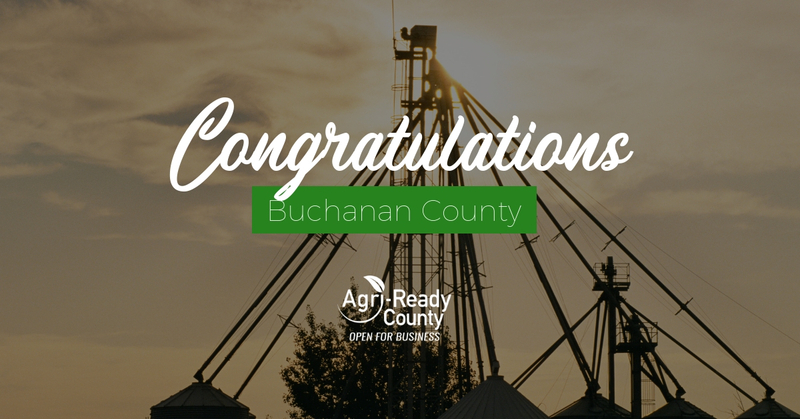 JEFFERSON CITY, MO – Taking action to express support for agricultural development, education, and economic growth, Buchanan County has applied for and been granted the Agri-Ready County Designation by Missouri Farmers Care (MFC), a coalition of more than 40 leading Missouri agricultural groups. 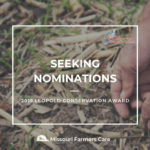 This designation identifies counties that create an environment conducive to agricultural entrepreneurship and opportunity which actively support Missouri’s largest industry. 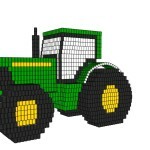 According to the most recent data available, agriculture in Buchanan County generated $5.5 billion in agricultural product sales, which translates into $1.2 billion in value-added to the local economy in 2016. Agriculture, forestry, and other related industries support 10,873 local jobs, according to the 2016 Missouri Department of Agriculture (MDA) Economic Contributions of Agriculture and Forestry Study. 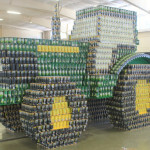 The county’s agricultural strength is anchored in the production of soybeans, corn and beef cattle. Value is added to agricultural products through animal processing, agricultural chemical manufacturing, biofuels and pet food manufacturing. Through the Agri-Ready program, MFC partners with county leaders to advance local agricultural enterprise, promote the county as a prime location for business expansion and enhance workforce readiness for agricultural careers. In addition, MFC recruits local 4-H and FFA leaders to implement Agriculture Education on the Move™ in third-grade classrooms. These student leaders will present agricultural careers, crop science, and livestock production segments through engaging, hands-on activities and lessons while developing their speaking and leadership skills. 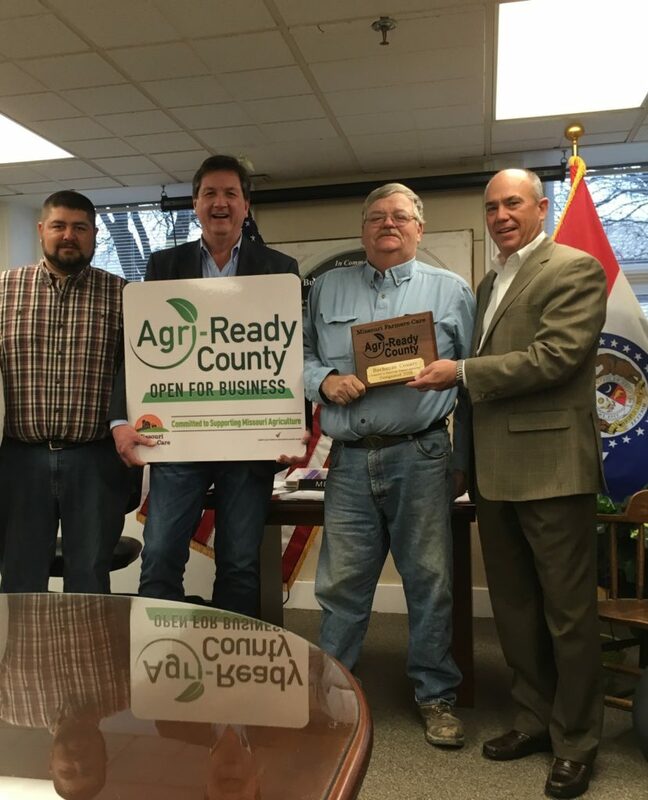 MFC’s Agri-Ready County Designation launched in December 2015 as a voluntary connection between Missouri counties and the Missouri Farmers Care organization. 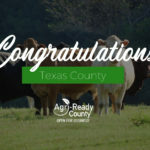 Agri-Ready County Designation recognizes and builds on the impact of family farmers and agri-businesses as key contributors to our economy and the quality of life in our communities. Buchanan County joins Andrew, Atchison, Audrain, Barry, Benton, Bollinger, Butler, Cape Girardeau, Carrol, Chariton, Cole, Cooper, Crawford, Dallas, Dent, Dunklin, Franklin, Gasconade, Gentry, Henry, Holt, Iron, Johnson, Laclede, Lafayette, Lawrence, Lincoln, Madison, Marion, McDonald, Mercer, Miller, Moniteau, Montgomery, Morgan, New Madrid, Newton, Oregon, Osage, Pike, Polk, Randolph, Reynolds, Saline, Scott, Shannon, St. Clair, St. Francois, Ste. Genevieve, Stoddard, Sullivan, Texas, Vernon, Washington, Wayne, Webster, and Wright counties in achieving Agri-Ready Designation. Counties wishing to apply for Agri-Ready County Designation must meet program requirements, including no ordinances regulating agriculture more stringent than state law and support of agricultural stewardship, growth, and opportunities. After the application is received from the county commission, the MFC Agri-Ready Review Committee examines any local ordinances, regulations and statements of support prior to awarding designation. For more information, view the 2016 Economic Contributions of Agriculture and Forestry in Buchanan County Fact Sheet presented by the Missouri Department of Agriculture, Missouri Farm Bureau, and Missouri Agricultural and Small Business Development Authority. Photo Caption: On Thursday, Dec. 20, (from L to R) Buchanan County Farm Bureau President Jason Gregory, Eastern District Commissioner Scott Burnham, Buchanan County Farm Bureau leader Vernon Hart and outgoing Buchanan County Presiding Commissioner Harry Roberts gathered to recognize Buchanan County’s Agri-Ready County Designation at the Buchanan County Courthouse. Gregory and Hart presented the Commission with the County’s Agri-Ready plaque and road signs. 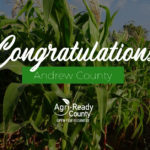 Agri-Ready County Designation recognizes counties that actively support Missouri agriculture through establishing an environment and county policies conducive to agricultural business growth and success.